Soul Place Photo Art Entries by Arachnoiditis Survivors will be accepted until January 31, 2017. There is no fee to enter this category. Find out more about that HERE. 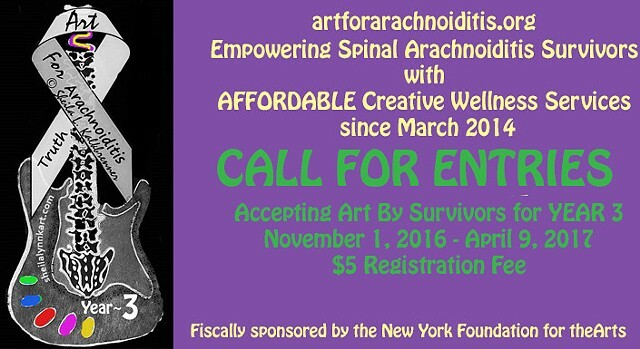 SUBMIT CARDS OF HOPE for Arachnoiditis Survivors until Dec. 10, 2016.